This 4 piece hair kit provides the essentials to protect, repair and strengthen hair. Includes Shampoo, Conditioner, Scalp Treatment Serum and Hair Strengthening Styling Gel. Capixyl - a biomimetic peptide that reduces DHT buildup in the follicle - the main cause of hair loss. This peptide has been shown in studies to improve hair follicle anchoring (the bond of the hair to the scalp), by increasing the protein matrix at the hair base. It also has shown an increase in the size, number, and activity of follicles. ProCapil - a natural botanical blend (with citrus flavonoids, oleanic acid and biotinyl-GHK), that has been shown to increase blood stimulation within the scalp, allowing more nourishment to reach the dermal papilla cells so that they can produce healthier growing hair. It also targets the primary causes of alopecia, which is DHT, reducing the build-up of DHT around the follicles. And It Also Includes Botanicals and Proteins for Hair Strength. Phytelene EGX 292 - A botanical blend of plant extracts selected for their ability to improve hair strength and bulb hair health. This includes black cohosh and milk thistle which prevent bacteria build-up in the scalp that would otherwise damage hair. It also has nettle extract that reduces excess sebum production. Removing excess sebum is important because sebum excess attracts bacteria that can weaken the follicle and cause it to produce thinner, weaker hair shafts. Keravis - a multifaceted protein-based complex which acts on all of the three fundamental parameters of hair strength: tensile properties, bending modulus and cuticle abrasion. Keravis is designed to penetrate the cortex of the hair and strengthen from within. It also coats the surface of the hair with proteins to increase their strength and resilience to the common factors hair is exposed to such as combing, heat drying, and bleaching. Redensyl - a polyphenolic molecule that combines glycine and zinc. Redensyl has been shown to nourish the hair follicle stem cells to reactivate their division and stimulate their initiation of the growth (anagen) phase. More follicles in growth phase means more new hair growth. Now Strong HairPro products also have the new hair volumizing technology CE-1874 Microemulsion, clinically shown to increase volume, protect color and repair damaged hair. 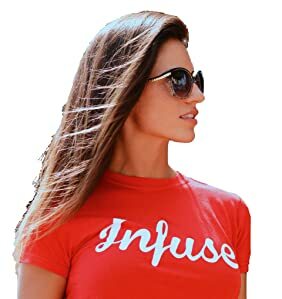 A great alternative and more natural approach to stimulating hair growth with a proprietary blend of nutrients, peptides, vitamins, and herbal extracts in a Paraben- Free, Sulfate- Free formula. Made in the USA in an FDA, GMP compliant facility. SHAMPOO:; Apply to wet hair and massage into a rich lather for 1 to 3 minutes. Rinse well & repeat if needed. Follow with conditioner (again 1-3 minutes) then towel-dry hair apply the Serum to damp hair in problem areas in scalp/hair with fingertips and leave-in till next shower. May be used daily. •CLINICALLY PROVEN ingredient technologies that targets hair stem-cells to promote hair growth, strength and volume. Stimulates the hair follicles and fibers to prevent hair loss while repairing weak, fine, or thinning hair for female and male. 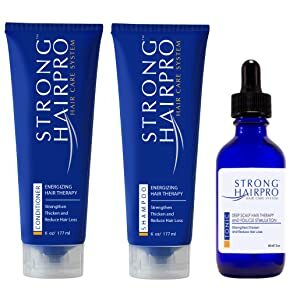 •HAIR STRENGTHENING ANTI-HAIR LOSS SYSTEM includes the following: Energizing Therapy Shampoo (8 oz), Hair Strengthening Conditioner (8 oz), Deep Scalp Hair Therapy Serum (2 oz), and Hair Strengthening Ultra-Hold Styling Gel (8 oz). •FORMULA - Each formula is made in proprietary complexes of powerful, vitamin rich ingredients including-including: Capixyl™, Keravis™, Redensyl and Keratec™. •KEY INGREDIENTS - All Key ingredients have nutrients that promote hair growth by targeting the stem cells and human fibroblasts from the dermal papilla to improve hair growth while reducing hair loss. •MONEY BACK GUARANTEE - We stand behind the efficacy of each one of our products, If you are not satisfied, please contact us and we will refund your money. HAIR STRENGTHENING SHAMPOO: Water ,Disodium Laureth Sulfosuccinate, Cocamidopropyl betaine,Glycerin, Cocamide MEA, Glycolic Distearate, PEG 6000 Distearate, Jaguar C 135, Panthanol, Regu-Age, Vitamin A Acetate, Ascorbyl Sodium Phosphate, Biotin, Iodine, Selenium, L-Cysteine, L-Methionine, Borage Oil, Flax Seed Oil, Silica, Hyaluronic Acid and Collagen Complex, Zinc, Asthaxanthine, Dong Quai, Chaste Tree, Black Cohosh, Fennel, False Unicorn, Ethylhexylglycerine, phenoxyethanol, Hydrolyzed Soy Protein, Hydrolyzed Vegetable Protein PG-Propyl Silanetriol , DL Panthenol, Propylene Glycol, Cocodimonium Hydroxypropyl Hydrolyzed Wheat Protein, Hydrolysed Keratin, Niacinamide, Polysorbate 80, Phenoxyethanol and Caprylyl Glycol, Amla Extract, Melantonin, Disodium Edetate, Essential Oil Blend, Behentrimonium Chloride, Vitamin E Acetate, Pyridoxine HCI. HAIR STRENGTHENING SERUM: Hydrolyzed Soy Protein, Hydrolyzed Vegetable Protein, PG-Propyl Silanetriol, Propylene Glycol, Butylene Glycol-Water, PPG-26, Buteth-26, PEG-40, Hydrogenated Castor Oil, Apigenin-Oleanolic Acid, Biotinyl Tripeptide-1, Cocodimonium, Hydroxypropyl Hydrolyzed Wheat Proten, Hydrolysed Keratin ,DL Panthenol, Niacinamide, Behentrimonium Chloride, Polysorbate 80, Phenoxyethanol and Caprylyl Glycol, Methylcellulose, Germall ii, Sorbic Acid ,Disodium Ededate, Melatonin, Vitamin E Acetate, Pryidoxine HCI. 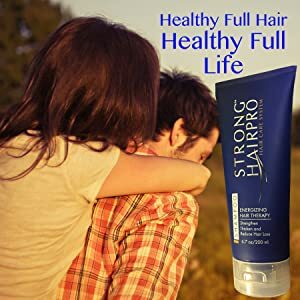 HAIR STRENGTHENING GEL: Water Deionised, Polyquaternium-86, Hydrolyzed Vegetable Protein, PG Propyl Slanetriol, Butylene glycol, water, PPG-26-Buleth 26, PEG-40, Hydrogenated Castor Oil, Apigenin, Oleanolic Acid, Biotinoyl Tripeptide-1, VP/Methacrylamide/Vinyl Imidazole Copolymer,Polyvinylpyrrolidone (PVP), Cocodimonium Hydroxypropyl, Hydrolyzed Wheat Protein, Pantenol, Phenoxyethanol and Ethylhexylglycerine, Keratin, Peg -40 Hydrogenated Castor Oil, Fragrance, Biotin. Cal-pharma Hair Pro provides Shampoo, Conditioners, Serums and Therapy Styling Gel that helps protect, repair and strengthen hair. Targets DHT buildup (one of the major causes of premature hair loss), targets volume and reduces hair breakage. Our vast range of products is proven to give good results. Our key ingredients have nutrients that promote hair growth by targeting the stem cells and human fibroblasts from the dermal papilla, to improve hair growth while reducing hair loss.